Hoverbike System is live in Unreal Marketplace! 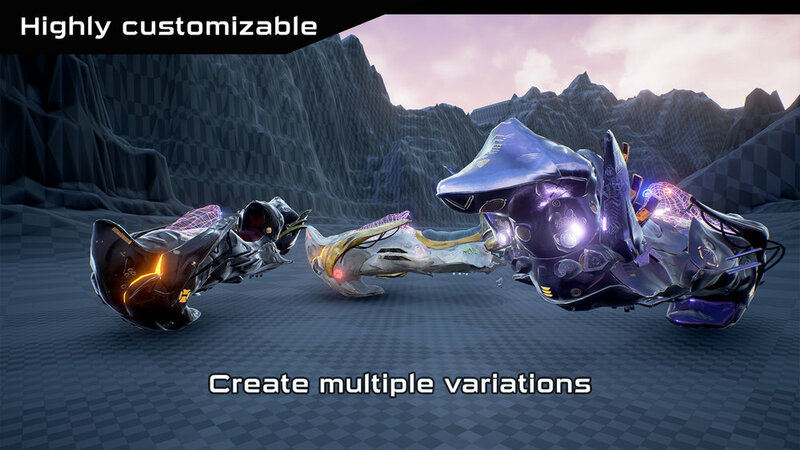 You can now get the Hoverbike system in Unreal Engine marketplace! Feel free to try it out here and have a nice ride. 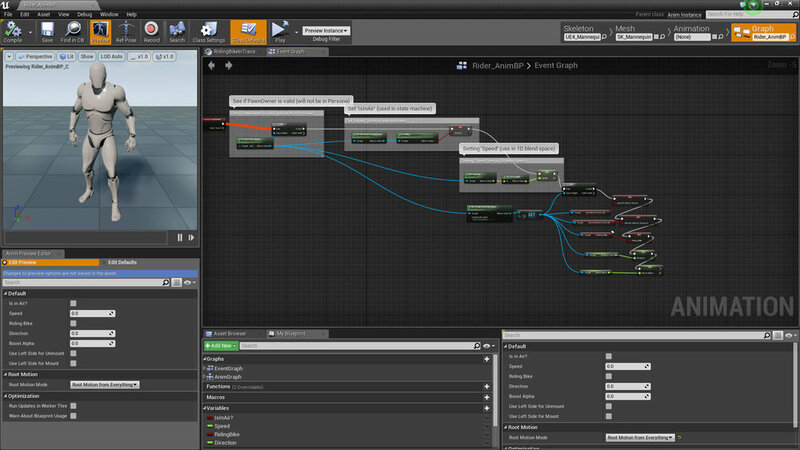 Get it in Unreal Marketplace here! Hoverbike System is out to try it for free! After hundreds of hours of hard work, the Hoverbike System is out there to try it for free! And for those of you who can't wait to the Marketplace release is available on Gumroad. The complete solution to get a hoverbike for your game. 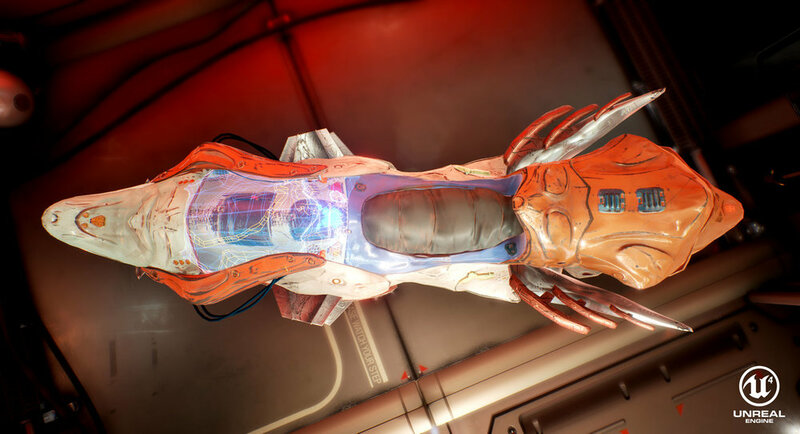 This package allows you to ride a futuristic hoverbike and customize it the way you wish. It comes with Materials (PC and Mobile) highly customizables, particle systems, sound effects, animations, Animation Blueprints and Blendspaces. The system integrates a spawn system, third and first person cameras, damage and destroy functionalities, turbo mode and acceleration. This package is 100% drag and drop, ready to use in any kind of game. Toggle front lights of the hoverbike for dark environments. Switch between first and third person. Collision handled for two types of crashes: light crash and hard crash (colliding with something while going at high speeds). Has durability, every time a hard crash occurs the durability is diminished. When the durability is depleted the hoverbike breaks and stops working. Ability to spawn the hoverbike in front of you. Ability to see the hoverbike behind objects that has their custom depth setup. Exposed values for quick change in the behavior (Max speed, Turbo speed, etc). 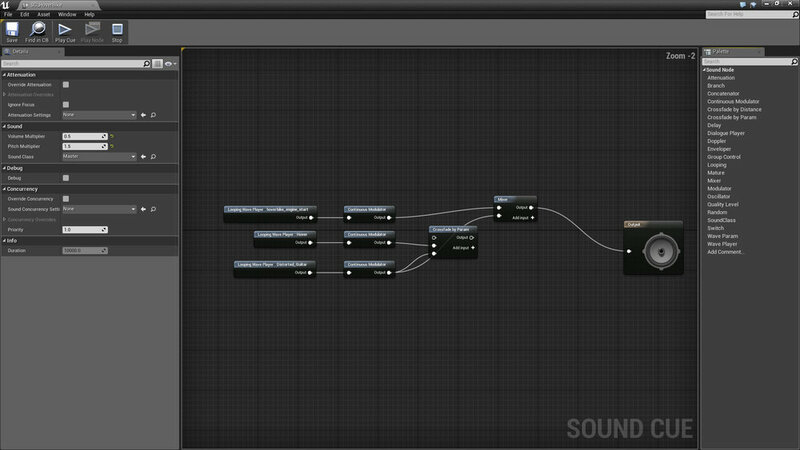 Materials of the hoverbike easily changed with override parameters set up. Rider Component that enables any character to ride the bike. 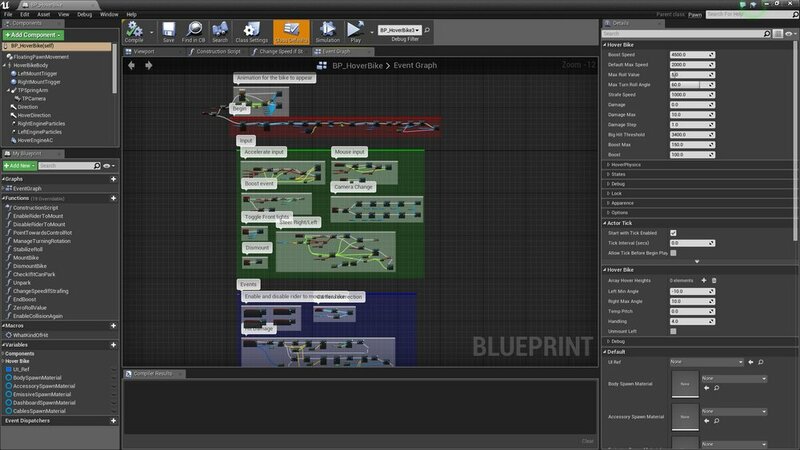 Custom character blueprint that is the same as the third person example character with the rider component added and input node to ride the bike. Animation blueprint for the custom character. Dev Diary - 1: Introducing the Hoverbike! Hey everyone, we are working on a new package that will enable you to ride a futuristic Hoverbike!